The following commentary appeared in the Oct. 11, 2016 edition of the Daily Gleaner. The work of the Truth and Reconciliation Commission and its 94 Calls to Action offer Canada a genuine opportunity to build a better future for all of us. We understand the barriers better, ways around them have been described, now we need to work together to take them down. In New Brunswick, all of our peoples signed Peace and Friendship Treaties centuries ago. These agreements bind us but we have not yet realized the full meaning of the words peace and friendship. When help is needed, friends step up. As an educator, for me the most important of the 94 actions is the call to close the educational attainment gap between Aboriginal and non-Aboriginal people and to do this in the space of one generation. This goal speaks clearly to the Commissioners’ belief in the transformative power of education, for the individual and for our communities. Bridging this gap will be challenging and difficult but we also have opportunities. Across Canada, universities are examining how to change curriculum, student services, recruiting, governance, and facilities to better meet the needs of Aboriginal students, and to more accurately reflect our history. A transformative university education should better equip students to understand reconciliation, and contribute to its progress. At UNB, we place a high value on innovation and entrepreneurship as part of the student experience. In practical terms, this prepares all students from any background to create opportunities for themselves and for others. It is my hope and expectation that a UNB experience will help our students go on to build prosperous, healthy, and strong communities far beyond our campuses. The University of New Brunswick is committed to the process of reconciliation. We have a responsibility to bring people together to advance our progress as a province, including the cause of reconciliation. We are proud of UNB's Mi'kmaq-Wolastoqey Centre, and its past successes supporting our aboriginal students and aboriginal education. Now, it will have an increasingly important role in helping us do our part in the reconciliation process. The emergence of reconciliation as a national priority is an important moment in our shared history. Significant progress on reconciliation is essential to building stronger future for all of us. 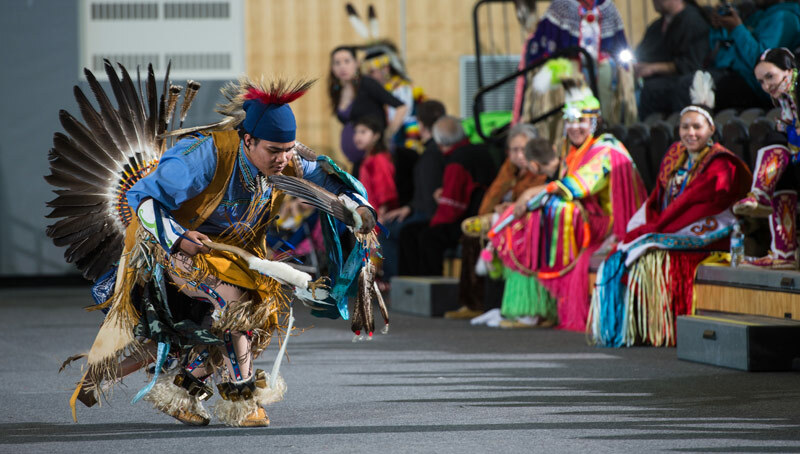 Later this month, the UNB Mi'kmaq-Wolastoqey Centre will host the annual UNB Peace and Friendship Treaty Days on Oct. 26 to 28 at UNB’s campus in Fredericton. This symposium will focus on “Education For Reconciliation: What Role Can Universities Play In Building Peace And Friendship?” This symposium is an important forum for all New Brunswickers to better understand the relationship among our peoples, and how we can all work together towards reconciliation. I’m proud of the role UNB can play in meeting the Calls to Action, and in supporting the success of UNB students who come to us from First Nations, Metis, Innu and Inuit communities. The University of New Brunswick resides on traditional Wolastoqey territory.